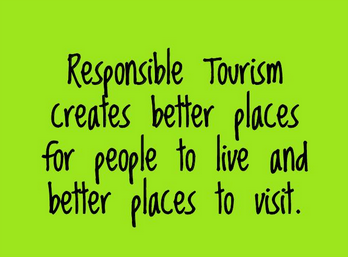 We’re in the middle of Responsible Tourism Week – a global unconference made possible by the hard work and dedication of Ron Mader and anyone who is committed to sharing ideas related to creating a tourism sector that doesn’t cost the earth. If you want to know how you can contribute, check out Ron’s slideshow here . Conscious Travel is a movement, a community and a learning program that enables places to attract and welcome guests in a manner that doesn’t cost the earth. The operating model that has created a global tourism industry is dying and a new model is emerging. The rules of the game are being re-invented, right now. Tourism is system of three elements: Places, Guests and Hosts. As such, it’s all about PEOPLE. If people change their values and their perception of how the world works, then everything else changes.